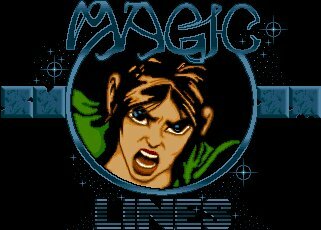 Magic Lines, isn't REALLY a Thalion game, in that it was published by Thalion in the later days, but it was bought in already finished. None of the in-house Thalion programmers artists or musicians (as far as I know) participated. Magic Lines is a VERY rare Thalion title, I've never seen one for sale ever. Thanks go to Peter Olafson for providing a scan of the box.